We are proud to announce that the [Eighth & Grand luxury apartments](https://www.eighthandgrand.com/) have been awarded the GreenPoint Rated certificate. This means that all of our tenants can rest assured knowing that they are living in homes that meet trusted environmental standards. How do homes earn this certificate? In order to receive this certificate, a certified GreenPoint rater inspects, evaluates, and scores the property. (Build It Green, the mother company of GreenPoint Rated, trains and certifies the raters.) The rater’s analysis and rating is based off of these five categories: energy efficiency, water conservation, indoor air quality, resource conservation, and community. 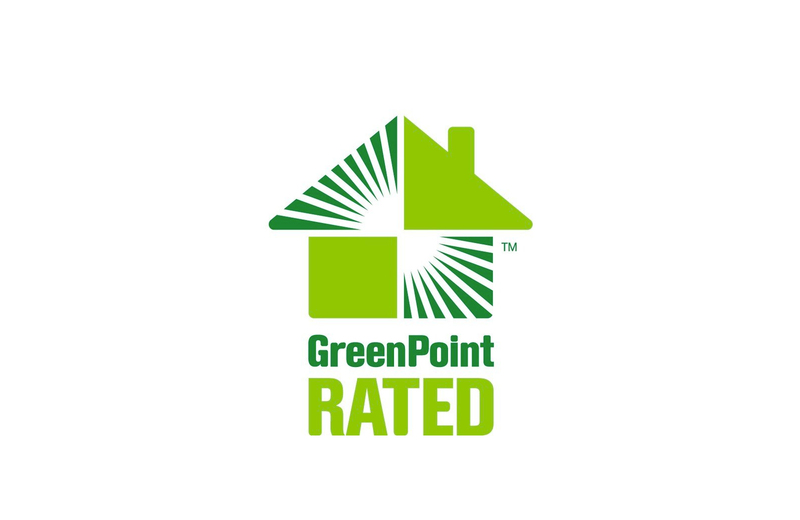 The home must earn the minimum amount of points in each category to receive the GreenPoint Rated certificate. The benchmark scores are based off of California’s current climate and market condition, and are supported by science, specifically third parties such as the California Air Resources Board, the California Energy Commission, and the Association of Bay Area Governments. GreenPoint Rated is a part of Build It Green, a nonprofit organization whose mission is to encourage healthy, greener living in California. It is also the most trusted home rating program in California, having rated over 43,000 certified units. GreenPoint Rated states that they will continue to be at the forefront of the green building practices that meet and surpass the CALGreen codes. This being said, this certificate is proof that our downtown LA apartments have met the CALGreen codes and that our tenants are living not only a luxurious lifestyle, but a green one as well. For our tenants, your home is helping the environment and saving you money. Being awarded this certificate means that these downtown LA apartments are more energy efficient than traditionally built homes. Because your home is more energy efficient, you will enjoy a less drafty and more quieter home, while benefiting from lower utility bills since your downtown LA apartment demands less power, helping to reduce California’s carbon footprint. In addition, California has been facing major droughts, with fresh water being an important commodity more than ever. Because your home has an effective water management system, you can enjoy a lower water bill and, if you use hot water sparingly, a lower energy bill. In fact, water conservation is so important in California that GreenPoint Rated allots 15 percent of the points to water conservation, so know that your home is drought-tolerant. Another benefit our tenants will enjoy in their downtown LA apartments is improved indoor air quality. We take air quality seriously as well as GreenPoint Rated, which allocates roughly 10 percent of the points to indoor air quality. Because your home has passed and received this certificate, you can rest assured knowing that your living space has met proper ventilation practices, products, and installations aimed at decreasing indoor pollution. This is especially relieving (and important) if you have a family, as young children are the most susceptible to indoor pollution since they spend as much as 90% of their time inside . Living in a green home lowers the chances of contracting a disease stemmed from indoor pollution. Also, know that your living space is resource conservation friendly. These downtown LA apartments utilize materials and practices that minimize landfills and conserves natural resources. In fact, recycled materials are more durable, lasting longer than non-recycled materials, which is why you will save on maintenance costs. And on top of that, being a resident at eighth and grand means that you have easy access to a healthy and friendly community, which is also a priority of GreenPoint Rated. Being awarded this certificate means that your home is located in a well-designed community, where traffic is decreased and the neighborhood is easily accessible, safe, and enjoyable. You are in the heart of downtown LA, with a Whole Foods right below you. You can easily go down for some needed produce or explore LA culture via foot or bicycle. This accessibility makes it easier to not use a car, lowering gas and car maintenance expenses while minimizing carbon emissions. For our tenants, you may also see other benefits from green living such as improved health. Because the health food chain, Whole Foods, is underneath these downtown LA apartments, you may be more likely to make more healthy choices, as you have more healthy options. Also, the accessible bike- and walk- friendly community makes it easier for you to get the exercise you need. Because you are not in a physically toxic environment, you may see your productivity at work, home, and in your personal life increase. Going green also sets an example for others. You will be a leader and an example for your family, friends, and co-workers to live greener lives, as they can see the benefits you receive from your own green life—lower utility and maintenance bills as well as taking a part in reducing the planet’s carbon footprint. And you will feel happier and satisfied knowing that you are bettering your life and the lives of others by being environmentally conscious by making the active choice to live in a green space. The certificate is physical proof of all these benefits, verifying that your home and lifestyle is a green one. The certificate is a stamp of approval that your living space is environmentally friendly. You are not surrounded in a high VOC and toxic indoor environment. Your home is made out of highly durable materials that surpass California building and energy code requirements. You have an effective and efficient water management system. Your home does not demand as much power as a conventionally built home does. And you are a part of the vibrant community that makes up Los Angeles. These are all benefits this certificate is proof of. Aside from all of the other amenities that these downtown LA apartments offer, this is a type of luxury in itself. We want to share with you this accomplishment and congratulate you for choosing green living.